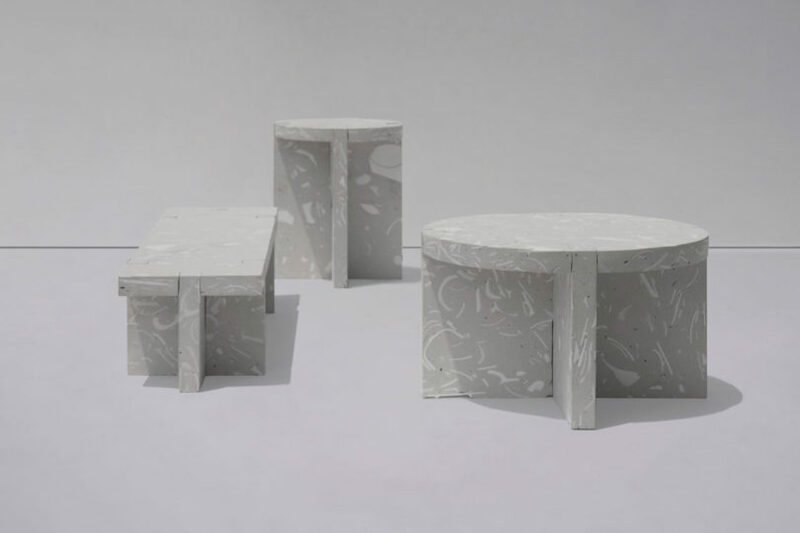 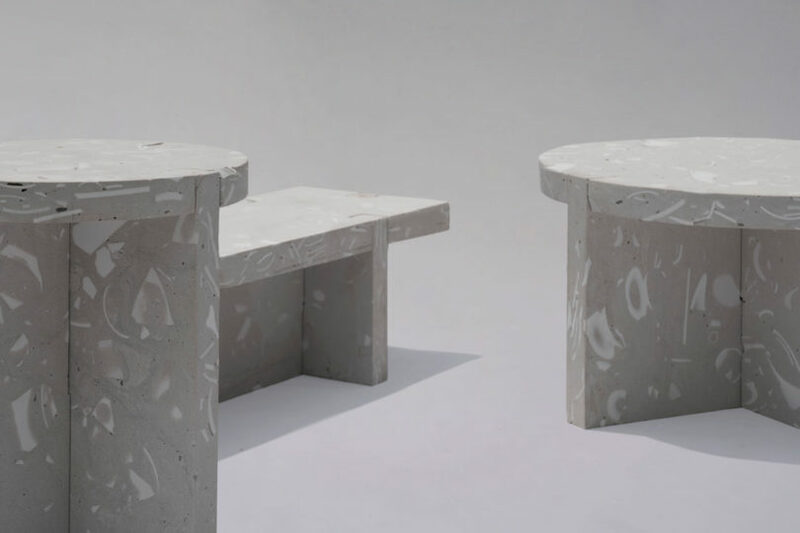 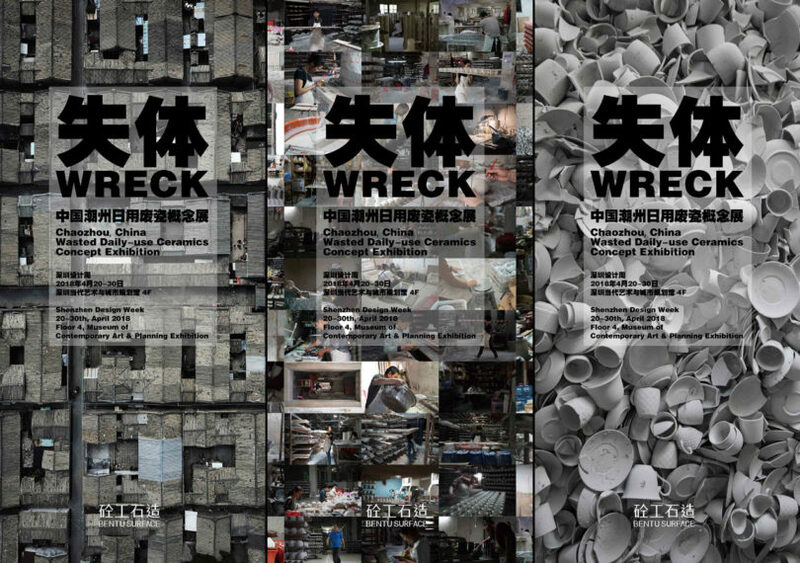 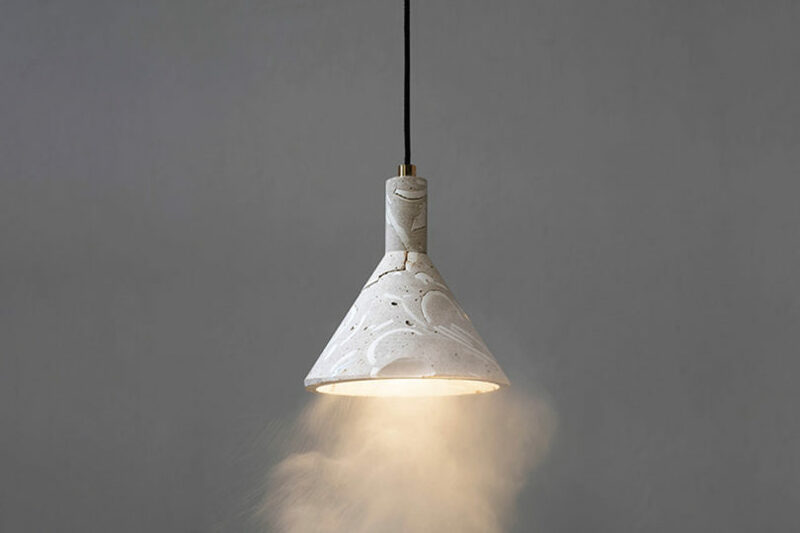 Bentu Design has recently released a new project called WRECK, a series of furniture and an exhibition of pieces created from wasted ceramics from Chaozhou, China. 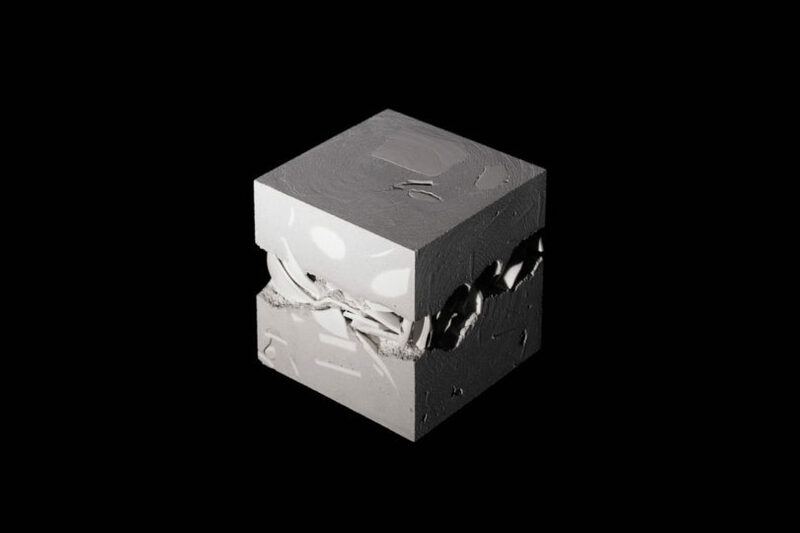 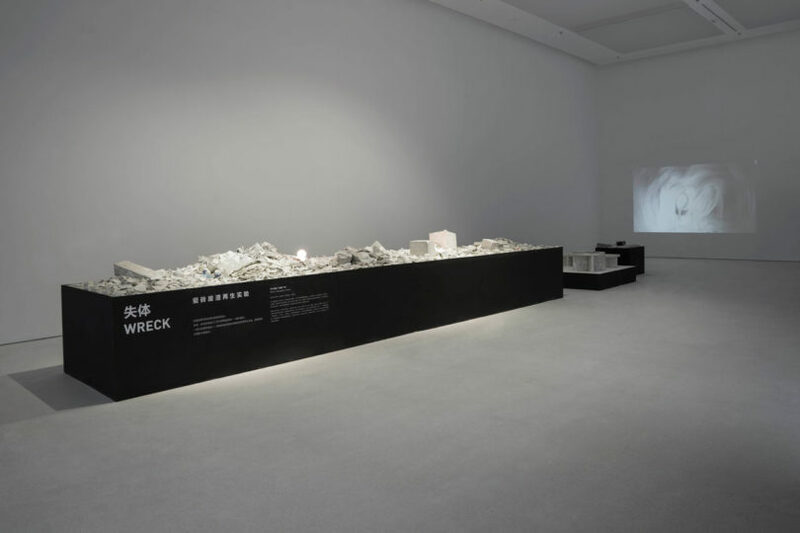 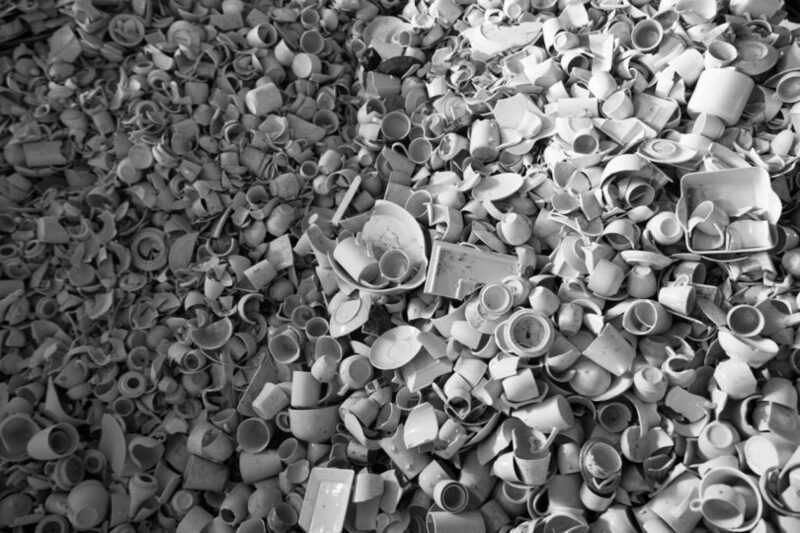 For the project, Bentu went deep into the daily-use ceramics industry in Chaozhou, where they used broken shards of ceramics to build furniture and sculptural pieces, representative of the disintegration of culture of this ancient city, which supplies 70% of the total daily-use ceramic commodity for the world. 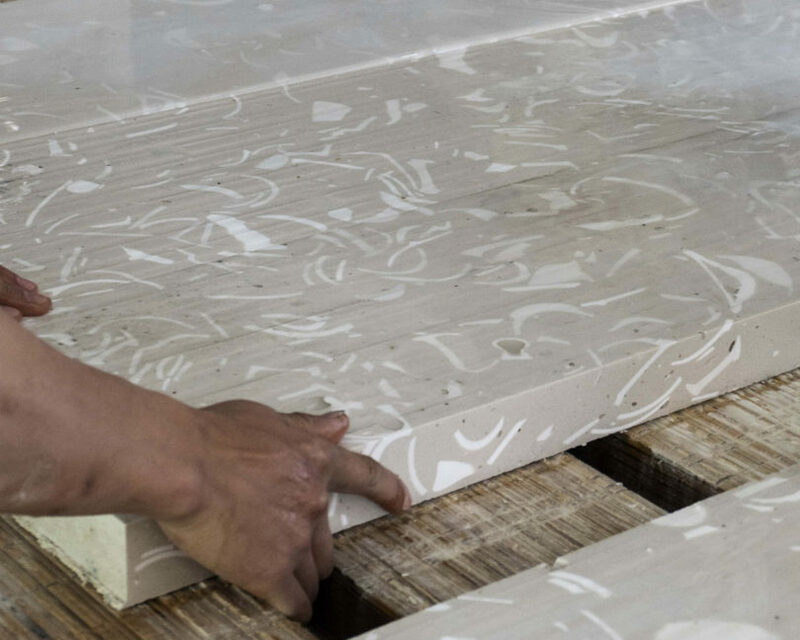 The city is modernizing, and therefore some of its rich cultural traditions and old buildings are disappearing, making way for more urban structures. 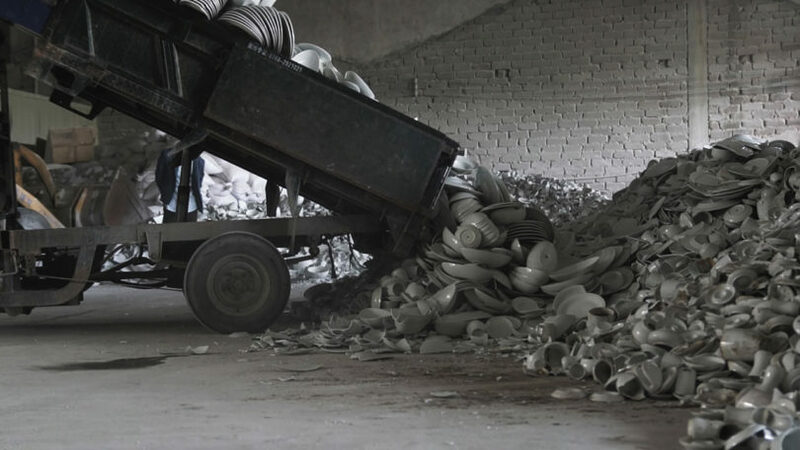 Factories have been transformed into recycling centers for ceramic waste. 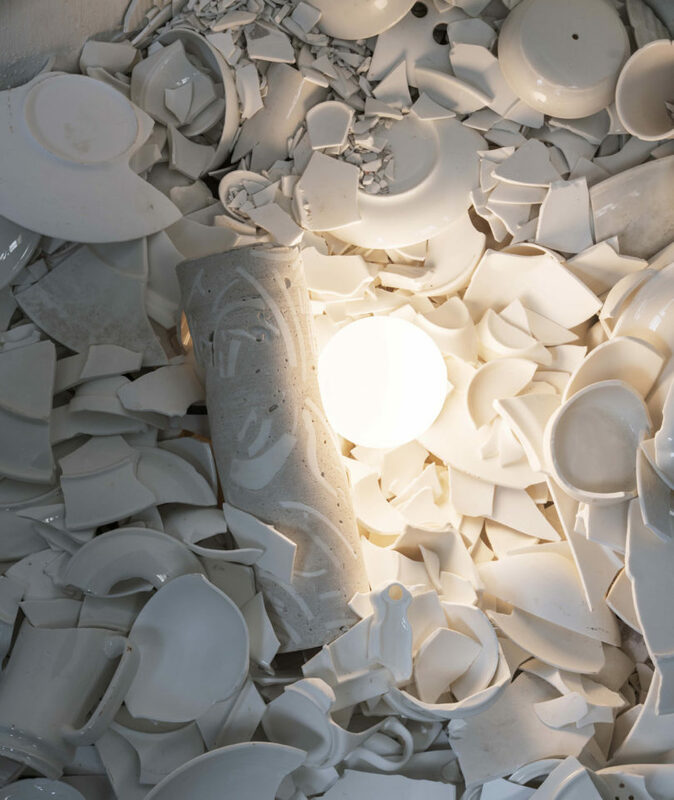 The amount of waste ceramics doesn’t just include Chinese ceramics, but also global waste due to government policies on products, globalization and uneven economic development. 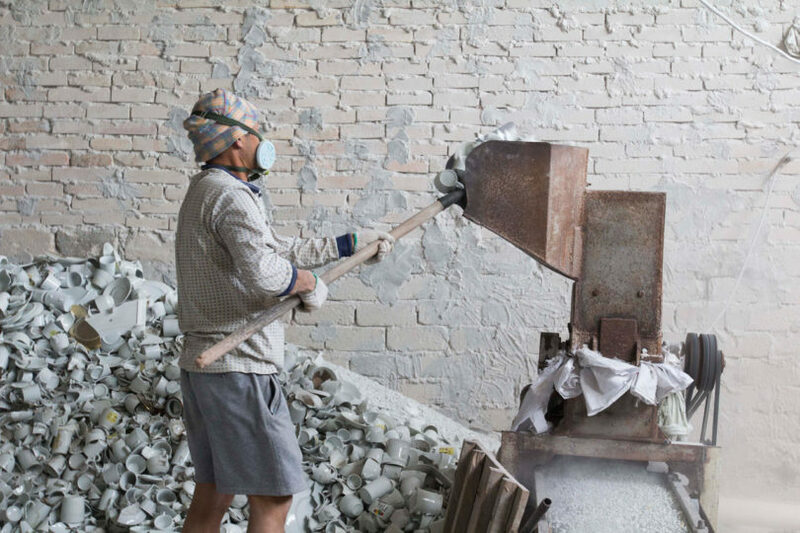 The recycling plant operations in Chaozhou work to recycle these ceramics, but only a small portion of the porcelain waste can be used, so they’re left with piles and shards of unusable garbage.